JAZ Products' Fuel Cell Foam is a high quality aviation safety foam that offers superior lifespan, up to 10X longer service life than that of other non-fuel approved foams on the market. Fuel cell foams are designed to prevent concentration of fuel vapor plus air mixture, which reduces the chance of a fire or explotion. Additionally, fuel cell foam helps reduce and baffle fuel slosh, which can effect vehicle handling. JAZ's fuel cell foam is available as direct replacements or additions to your fuel cell, which comes standard in most all JAZ fuel cells. Not recommended to be used with Alcohol, Methonal, Ethonal, E85 or water (ice tank or intercooler) as the water content in these fuels can cause unwanted deterioration. Note: Fuel cell foam will take up anywhere from 1-4% volume of the fuel cell (this varies depending on gallon capacity). The foam will expand when fuel is added, the foam should take up about 50-75% of the fillable void. 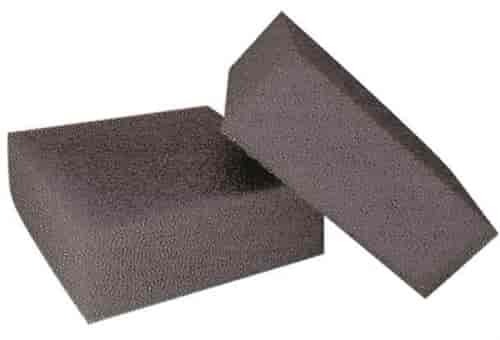 Replacement: The foam will turn to granules or look burnt. Notice of deterioration in the fuel cell or at the fuel filter, the foam may need to be replaced.